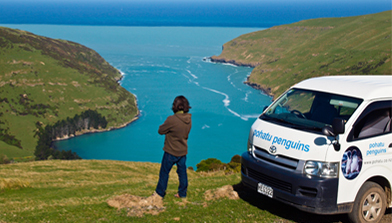 Pohatu Penguins offers unique nature and sea kayak tours from Akaroa, New Zealand. Get up close and personal with these beautiful creatures. You are guaranteed to see penguins in their natural habitat during the breeding season from September to mid February and second week in April. Come along to learn interesting facts and help preserve these birds. Prepare to be blown away on our Sea-Kayak Tour! 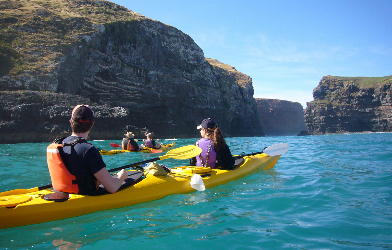 Kayak around the wild volcanic outer coast of Pohatu Marine Reserve and observe the amazing wildlife such as Little Penguins, New Zealand Fur Seal colonies, Hectors' Dolphins and many sea birds species. For a more relaxing adventure, experience this special area and wildlife on our 4WD Scenic Nature Tour. Find out about our accommodation options to make your adventure even more exciting. Extend your stay in Pohatu Bay and enjoy one of our overnight packages! 24 hour and 48 hour options available. Looking for adventure? Try our 3-hour bush walk and morning kayaking. Want to relax? Take it easy in your cosy accomodations, walk along our secluded beach or join us for an Evening Penguin Tour. YOU choose! 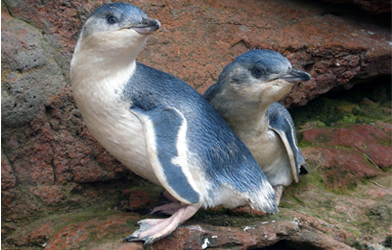 Francis and Shireen Helps have worked over the last three decades protecting White-flippered Penguins (Eudyptula minor albosignata), Canterbury’s own variant of Australasian Little Penguin, from introduced predators. By spending time with us you are helping the preservation of these beautiful birds for future generations. Largest Little Penguin colony on mainland New Zealand. Last open hill side colony of its kind. Only place in New Zealand you can easily see penguins' gathering and socializing on the water. 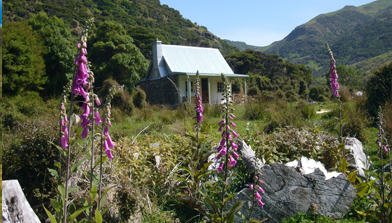 Banks Peninsula has the highest amount of biodiversity than any other part of New Zealand. Over 30 years of conservation, including penguin protection and monitoring and 4 conservation awards. "Blown away. Was such a great day. Worth every penny. 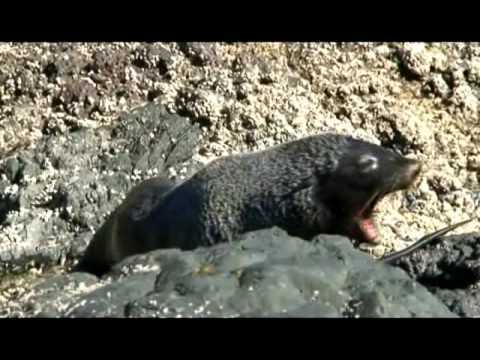 We seen so much wildlife, this is definitely a hidden gem in New Zealand. The guides were very knowledgeable, and added to the overall experience."